All Beavercreek homes currently listed for sale in Beavercreek as of 04/21/2019 are shown below. You can change the search criteria at any time by pressing the 'Change Search' button below. If you have any questions or you would like more information about any Beavercreek homes for sale or other Beavercreek real estate, please contact us and one of our knowledgeable Beavercreek REALTORS® would be pleased to assist you. "Investment opportunity-Unique offering! 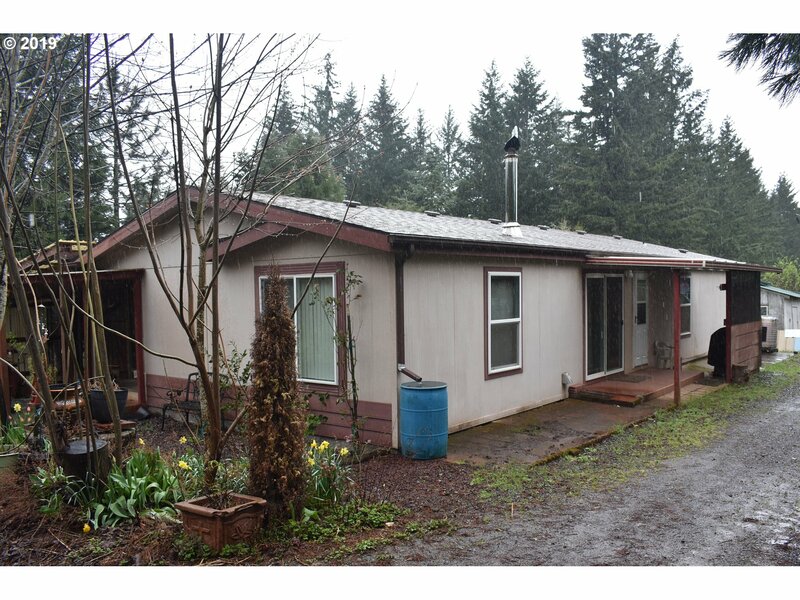 Significant merchantable timber, operating lumber mill, Buckner creek, bridges, ponds & manufactured home. Mill is leased @$17,500/month. On 6/1/18, mill lease goes to $16,400/month, triple net, with escalation clause. Addn'l income from home & barn rented @$1400/month. Some equipment in photos belongs to tenant. Access from both Schmidt Rd and Larkin Rd & extensive trail system throughout." "22+ acres- 16 timber deferred. 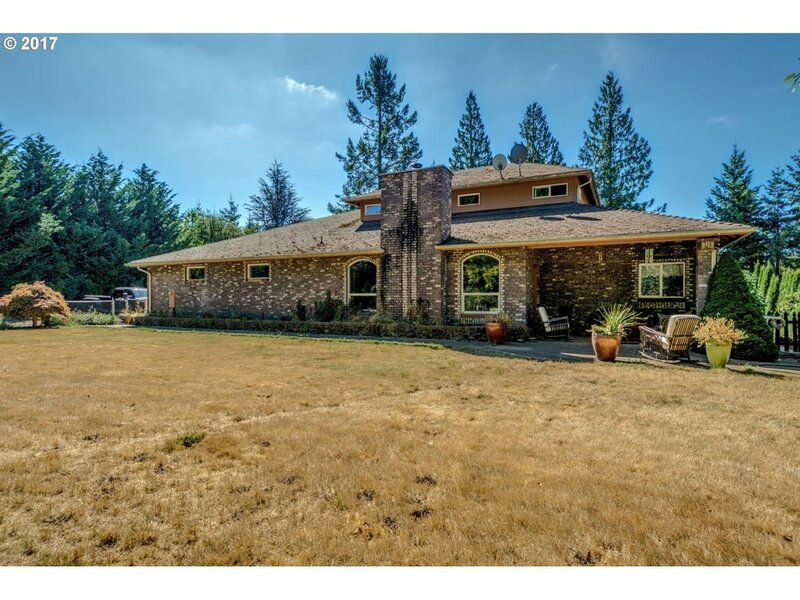 Home sits on 4+acre parcel & features a rain garden, paver patio+deck area overlooking the valley & pond. Downstairs bathrooms just remodeled. Picturesque views from every window. Fossil stone flooring & knotty pine upstairs. New, finished pole barn makes a great entertainment annex! One 4 bay garage & one 2 bay garage w/storage, shop & studio/guest quart. above. Much more! Must see!" "Private drive to perfect property with custom home on a knoll overlooking gently rolling pasture and half acre pond. A rich blend of stone, wood tile and granite. Open great room design with central atrium and soaring vaults that open to loft and game room overlook. Main floor master suite with jet tub-sauna-shower. Entertainment both in and out as good as it gets. Eight stall barn and utility outbuilding 48 X 48. A stand out property." "Beautiful flat 5 acre parcel. Builders best selling plan. 2 master suites, one on each level. 2 level high family room. Spacious kitchen w/butler's qtrs. Big bonus up. Extensive woodwork. Street of Dreams builder. Pick out all your finishes to make this home completely yours. About 15 minutes to I-205. Country feel but close in. Has potential tax deferral. We can build a different plan if you'd like." 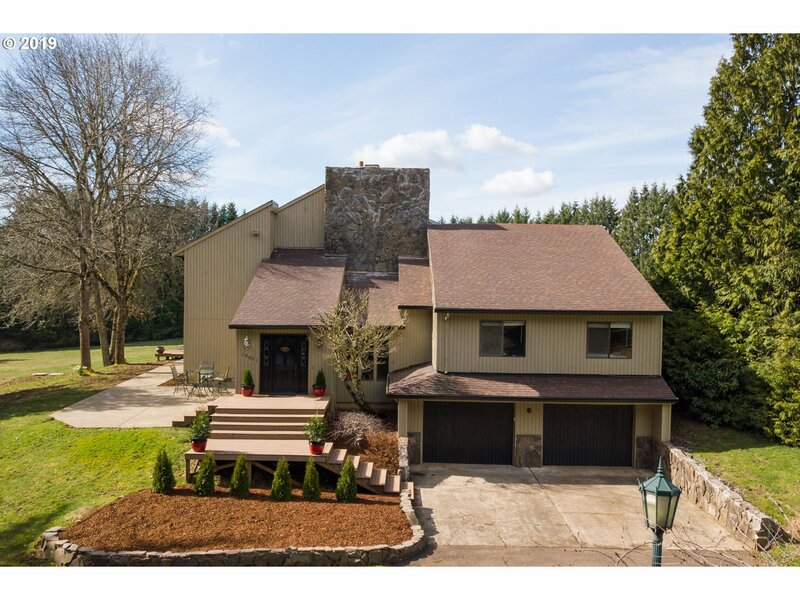 "Spacious custom home on 80 +/- acres has 4 BR, 3.5 Bath, Den & bonus rooms. Built in 1980 & extensively remodeled in 2012. Private setting overlooking lovely territorial views. Features include 2 masonry fireplaces, walls of windows, vaulted ceilings & natural wood. Land is primarily usable cultivated acreage currently leased & planted with Christmas trees-Contact broker for details. Jory soils per NRCS. Water rights cert #43111"
"Peaceful & Private Retreat w/possible dual living.Vaulted great room with picturesque windows,slider to the deck and eye catching double sided stone fireplace.Hard woods thru out most of main level.Master on the main w/suite,2 WI-closets & slider. Lower level has 3 bdrms,full bath w/dbl vanity,family room w/propane stove & slider to lg covered patio. 24x36 pole barn/shop with concrete floor,220 power." 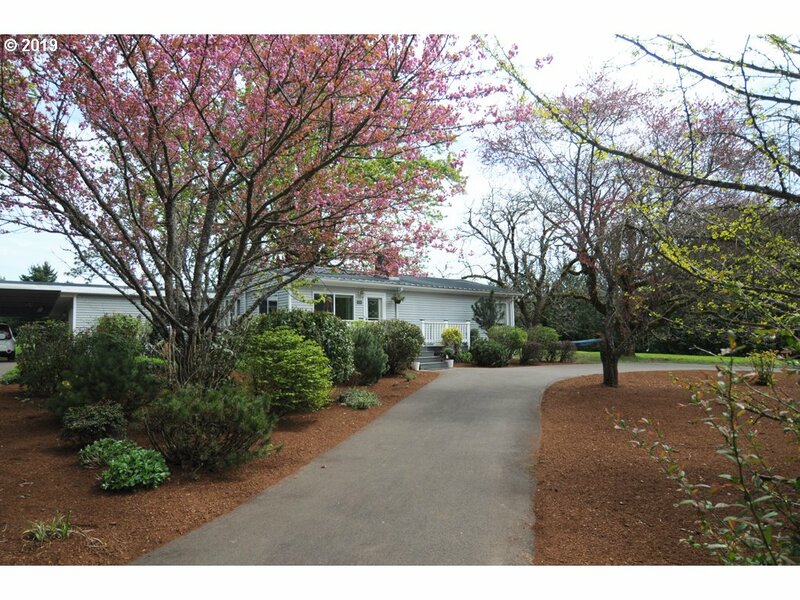 "Beautiful tree lined paved lane, leads to spacious 1 level main home with 3 bdrm, 2 bath, plus detached 780 sf 1 bdrm, 1 bath in-law/guest quarters. Useable 2.6 acres, raised garden beds, walnut & fruit trees, 2 sheds, lg. det. garage/shop, plus 2 car carport attached. Front Trex deck and HUGE back deck. Large family room and dining room. Home has 2 ductless Heat/AC units. Sale subject to seller finding suitable replacement property." "Are you ready to build? Come See Mountain Meadow's 7.92 Acres of Rural property. 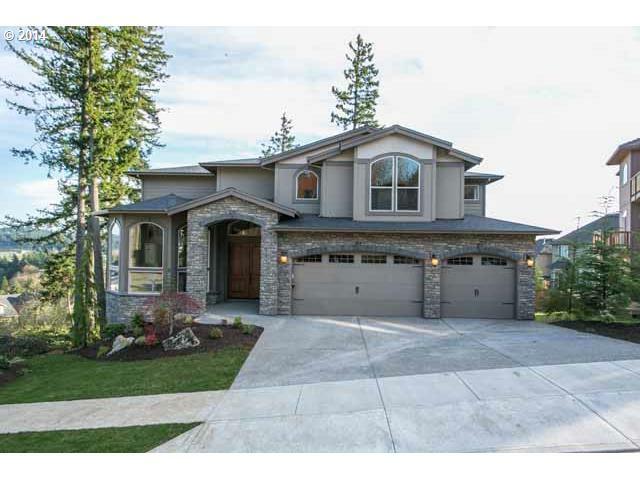 Easy commute to Oregon City/205 - Live in the 4 bedroom MF home while you build your dream home. Shop with Power and Concrete Floor. New Roof in 2015 - Brand New Heat Pump. Public Water and Gas available -Acreage is currently used as Hay/Tax Deferment. IDEAL HORSE PROPERTY. Shown by appointment." "Lots of Wiggle room here! One level home ideal for entertaining large groups. Open spaces. two islands. Great room and Living room. Bonus room at far end of house is 22x22 with doors to deck and firepit. Large 30x30 shop. Corner lot with perimeter fencing. Great advertising location! Clarks is a small rural school with great student to teacher ratios and across from Grange. This property has Gazebo. Must see!" "Gated 11.32 acre farm ready for your personal touches and all the animals you can bring. Brand new septic and roof in 2018. Gardens, outbuildings for all your hobbies and animals and a great area for lounging and relaxing while enjoying an outdoor oasis. Approx. 10 miles from Oregon City. Dead end street and gated for privacy. Possibilities are only limited by imagination. Could easily be a self sustaining farm." "Beautiful custom home on just under 5 acres! Horse lovers delight with nearly 2 acres of pasture and yard with a 28x24 barn and 48x36 shop. Open floor plan and large master suit with walk in closet and soak-tub. Pond with waterfall off the back deck, plenty of room to entertain all your guests both inside and out. Perfect potential to make this home into your dream horse property!" "HUGE REDUCTION! Country living while being close to the city! Great features include: nearly 1 level acre, huge barn/shop, tool shed, covered enclosed deck, covered porch and exterior deck, vaulted ceilings, huge family room, master suite, and so much more. You really have to see this one!Buyer to perform due diligence & verify ALL info (schls,lines,sq ft,utilities, etc)." "Price Reduced. 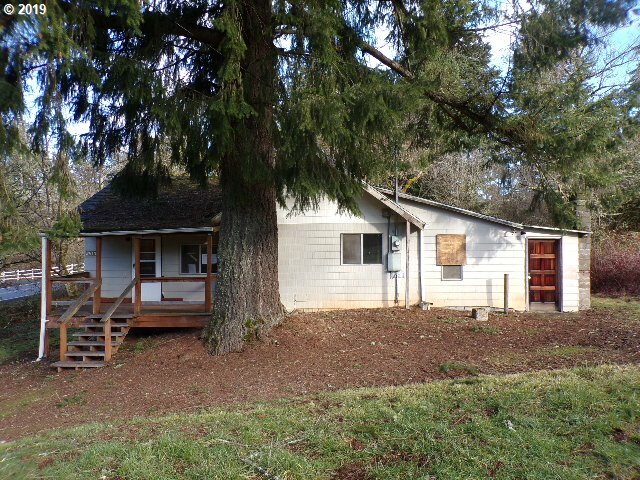 HUD HOME situated on almost 4 acres with lots of possibilities. 2 bedrooms with 2 bonus rooms and 1 bath."